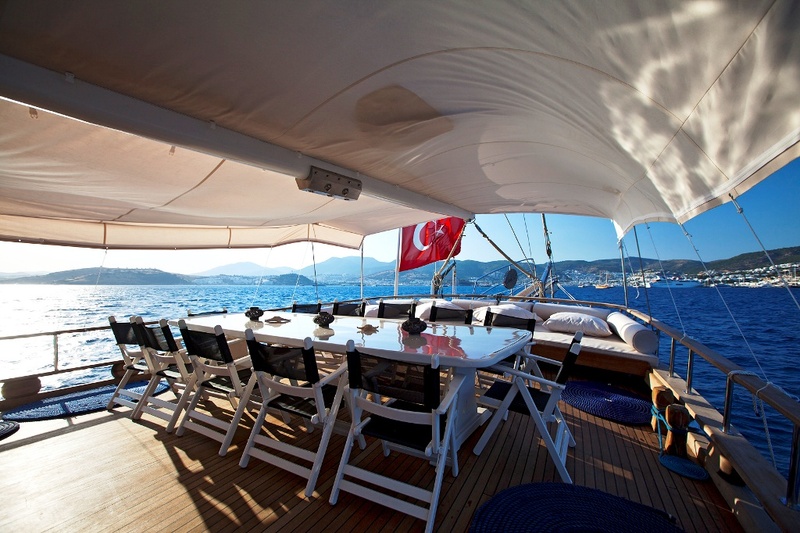 The light, clean lines of the gulet Osman Kurt welcome groups or larger families to the modern, uncluttered cabins and saloon aboard. 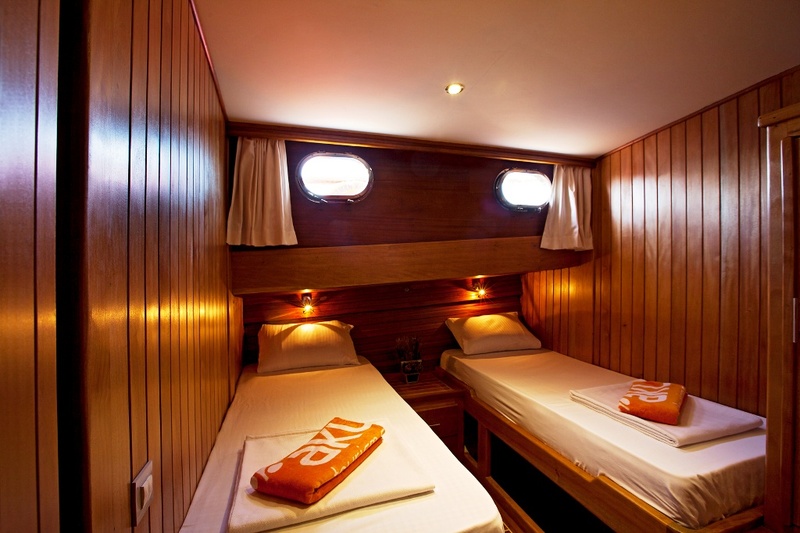 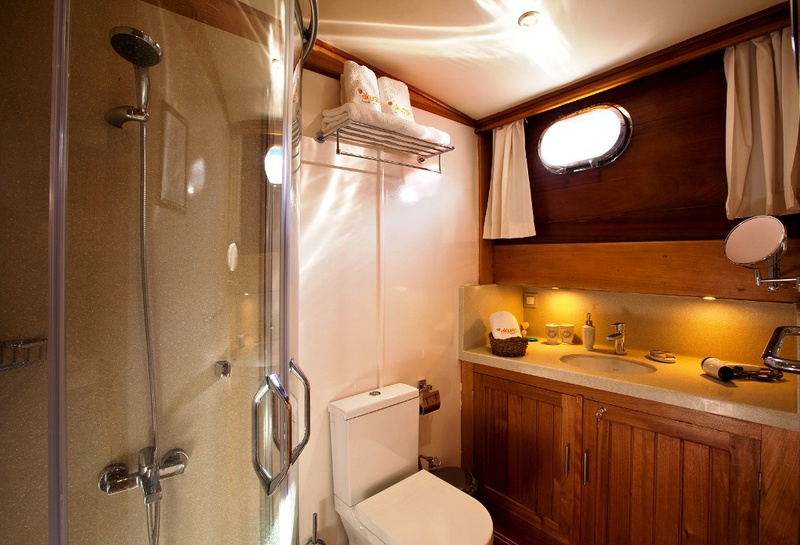 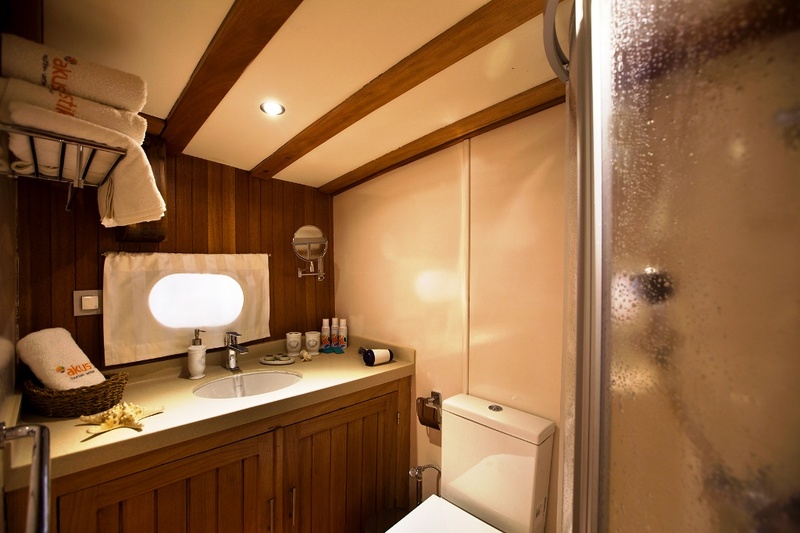 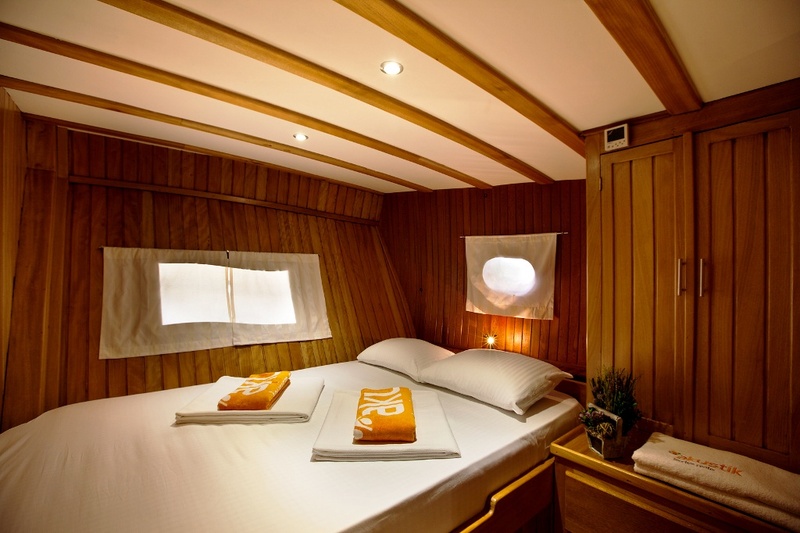 After the complete refit in 2013, the four double and four twin cabins each enjoy modern private bathrooms, offering an excellent standard of comfort all with air-conditioning available in them. 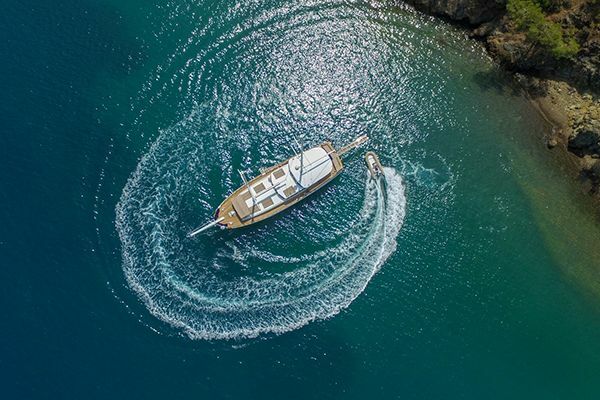 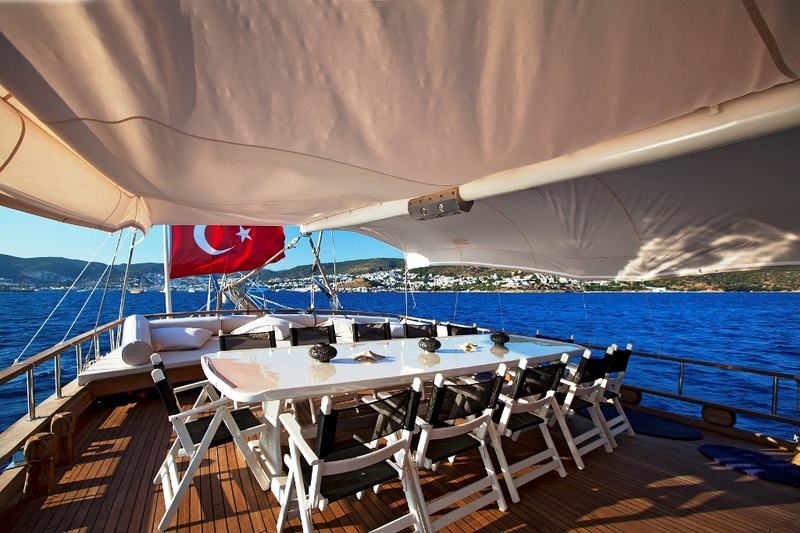 Osman Kurt gulet lends its impressive 32 meter length to a wonderful amount of deck space, with open-air dining possible at the aft deck dining table plus generous cushioned lounging space across the stern. 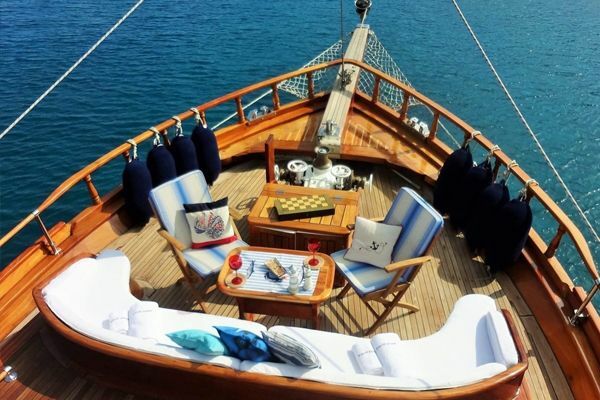 Up forward everyone can enjoy their own sunbed on the deck top. 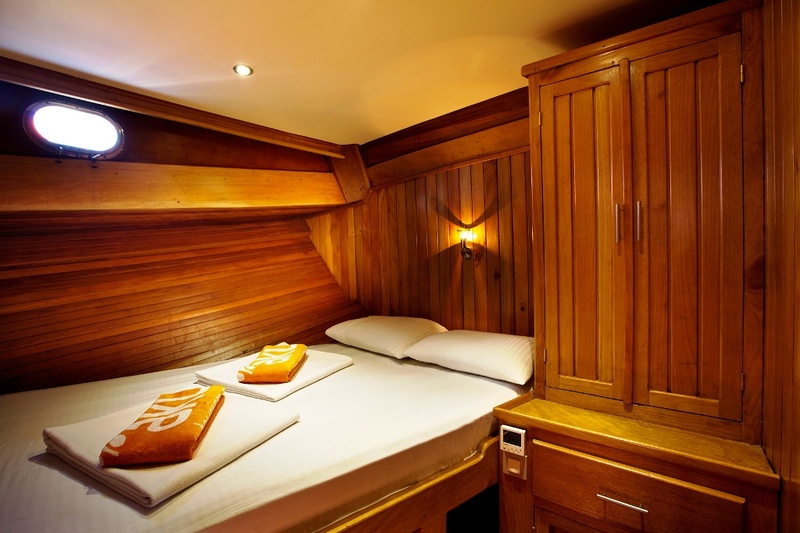 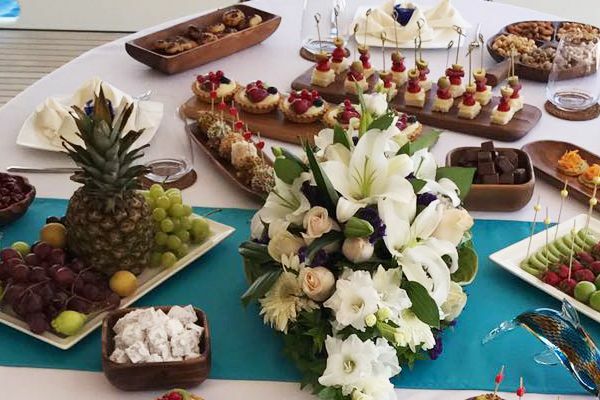 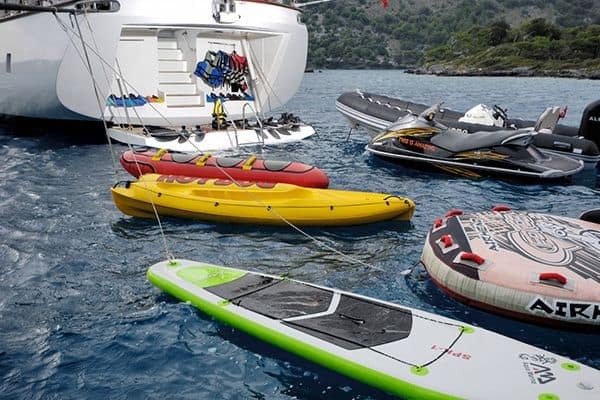 A favourite for larger groups, the Osman Kurt gullet has generous space for quiet or sociable times on cruise, with a friendly efficient crew looking after all the needs of the guests, and serving delicious meals. 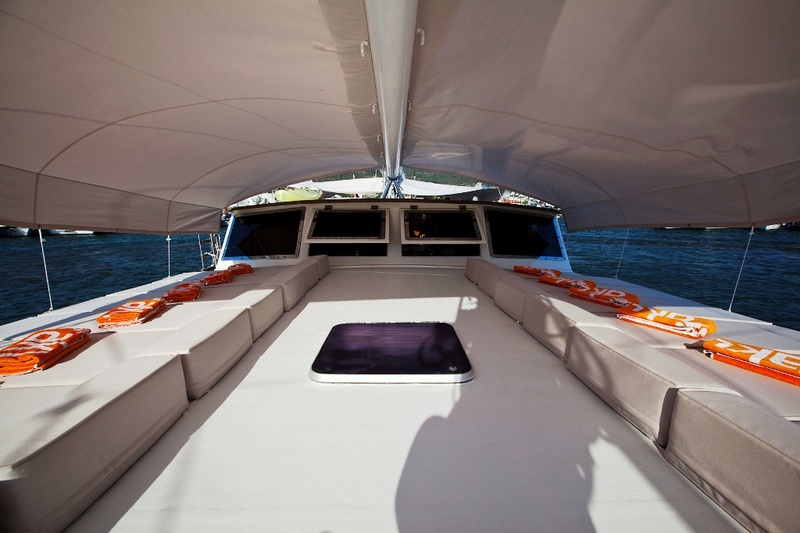 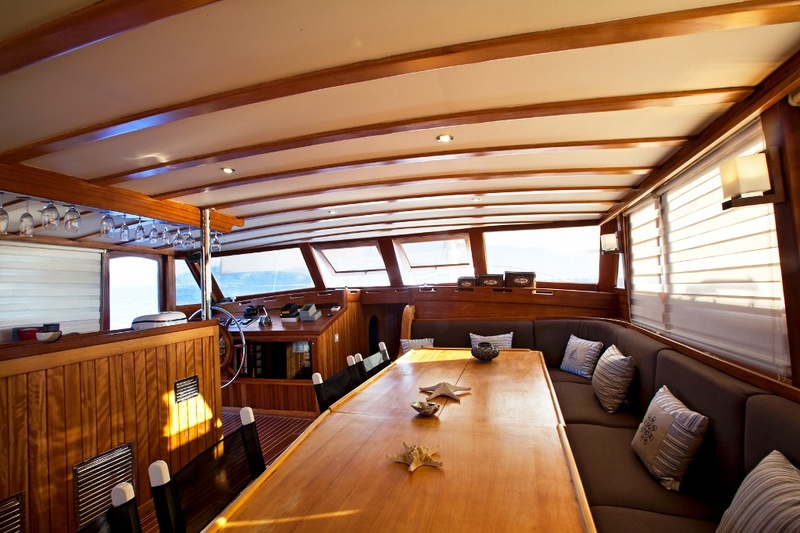 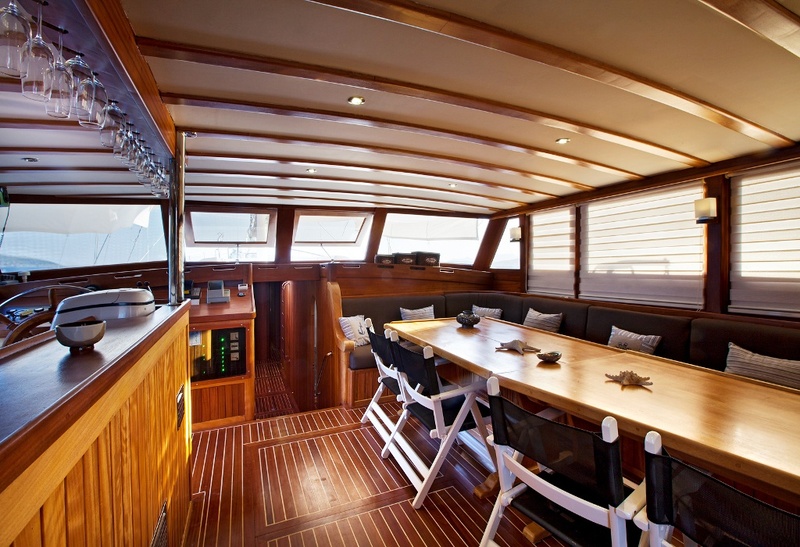 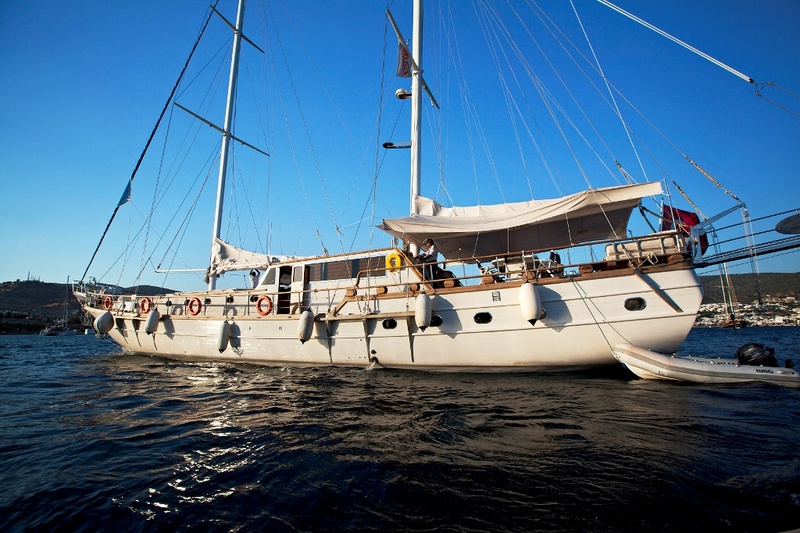 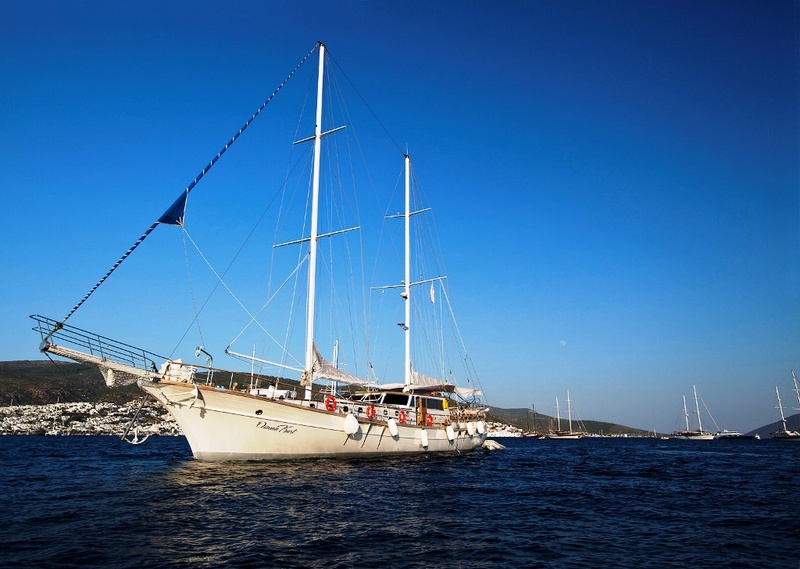 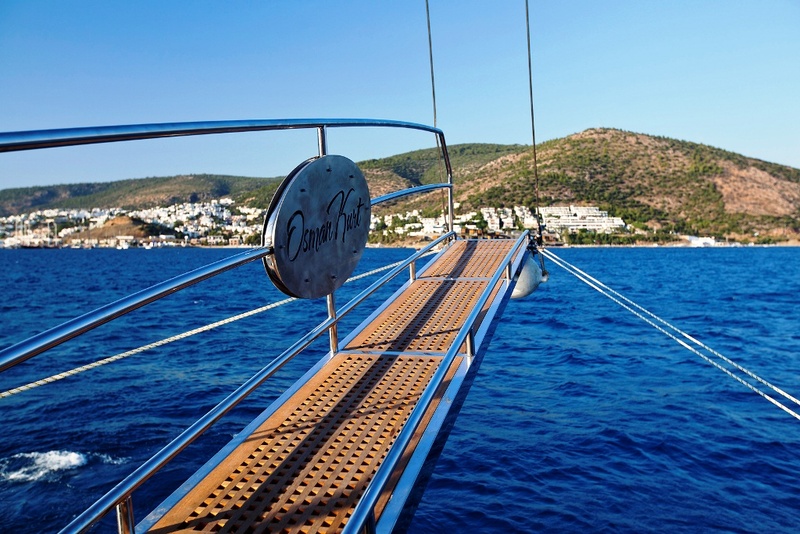 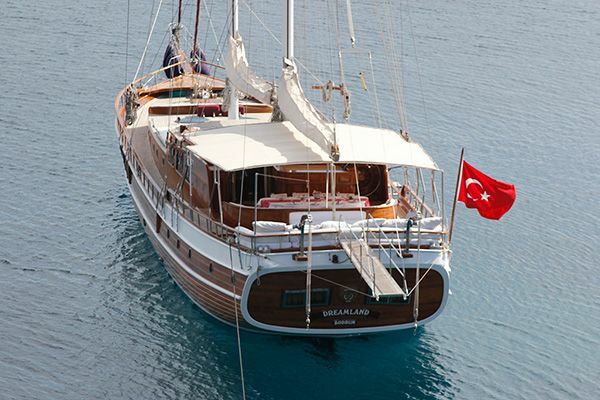 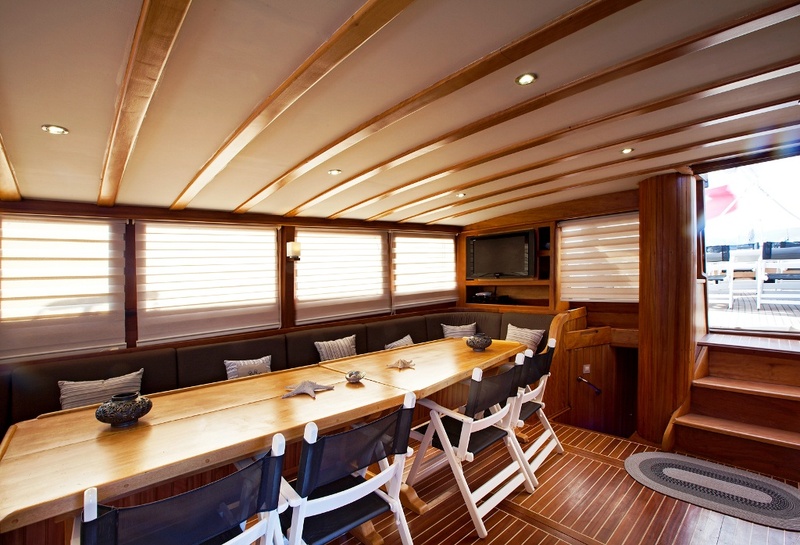 This is a great value gulet which is also able to cruise with a full guest list of 16 passengers in Greek waters.